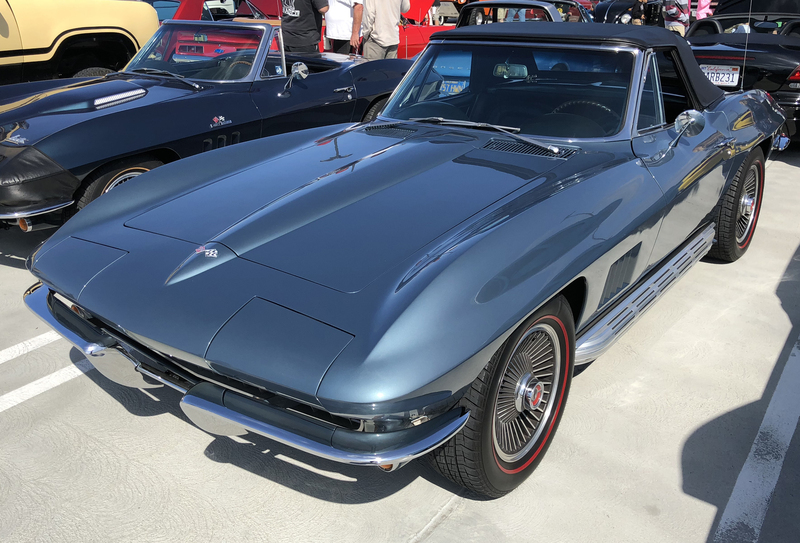 But a few months ago, before I locked my new Ford GT order, I saw a 1967 Corvette at the San Clemente Cars & Coffee. It was wearing a blue shade I hadn’t seen before, and one I thought might look stunning on the new Ford GT. I did some quick iPhone research and confirmed the color as Lynndale Blue. The Ford GT Concierge encourages owners to get at least a few samples of custom colors before making a final decision. 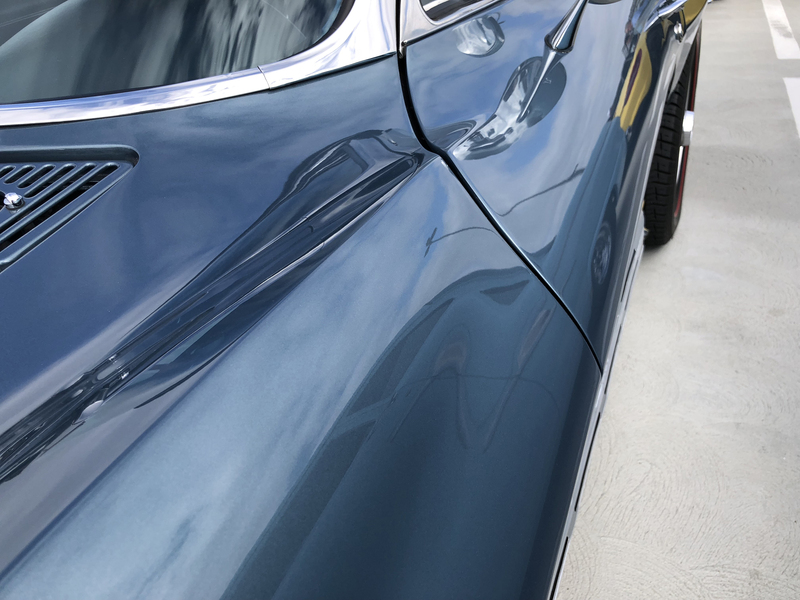 I already knew of at least one other color I wanted to see a sample of (I’ll feature that color tomorrow…), but after seeing this Corvette I added Lynndale Blue to my short list. 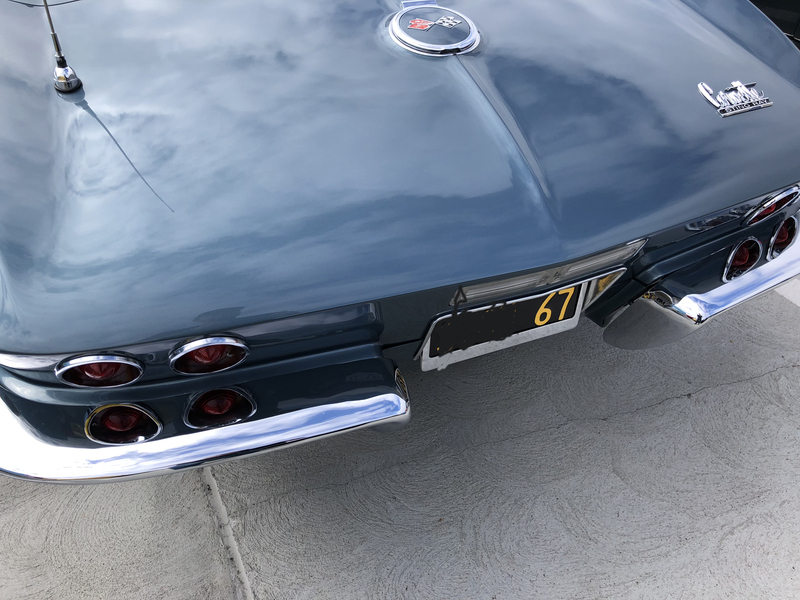 The Lynndale Blue sample showed up in the mail about a week later, and as good as it looked from certain angles on the Corvette in San Clemente the color didn’t translate well on the sample Ford sent. 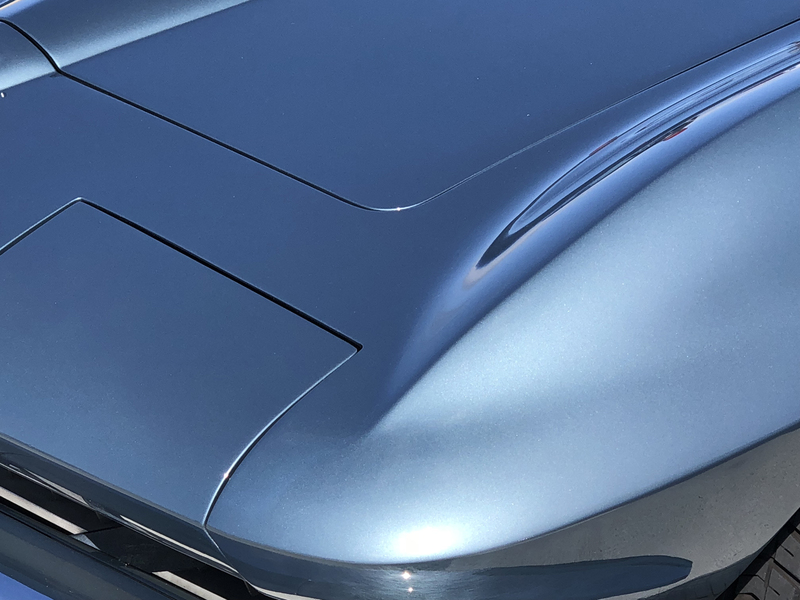 I don’t know if it was a problem with Ford’s attempt to recreate Lynndale Blue from GM’s paint code or if the color really needs bright sunlight at the right angle to create the tone I liked. Probably the latter. Regardless, the Cars & Coffee Corvette had a vibrancy, when the sun hit it just right, that the paint sample was missing. Looking at the photos again in this blog post confirms Ford actually got the color right. The problem is how much the color shifts from a bright blue to a dark gray/green depending on lighting. Regardless, the sample was enough to raise my apprehension and bail on Lynndale Blue.